My colleagues keep asking me when I’m next bringing in some home-baking. I told one of my colleagues today that I’d made some INCREDIBLE biscuits. Nope, I hadn’t brought them into work. Cue – sulky face. Admittedly, these chocolate thins are so good that I’m not sure that they’re going to make it out the front door. What is this? A simple act of voluntary cake sharing kindness erupting a longing for home-baked sugar filled delights. They even complained that I didn’t bring in a mushy, underbaked banana cake because they’d have appreciated it in any form. Anyway, I do find my colleagues’ reaction hilarious and affirmative. And … well, as they opened the door to trying out my baking experiments, successes and disasters, I brought in some spiced chocolate banana cake that had gone wrong. It looked like a brownie but it tasted medicinal, like cloves and nutmeg. Not all of them were impressed with that offering. Not that that was a deliberate move at all. But they had requested the disasters… So, *teehee* I wonder how long their enthusiasm for my baking will last? As there are rather a lot of us english teachers at the school, not everyone gets a piece of whatever’s been baked. One day, one of my colleagues realised that she’d missed out on all of my cakes. Fortunately for her, she feeds me cakes and biscuits from her ‘ot loi’ (khmer for no money) shop. 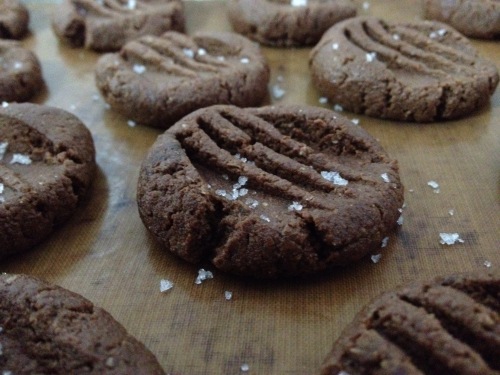 So, when she asked me to bake something for the end of term and I’d run out of eggs to bake a cake, I came up with idea of baking these gorgeous chocolate wholemeal thins, that I’d seen on the back of Allinsons Plain Wholemeal Flour. 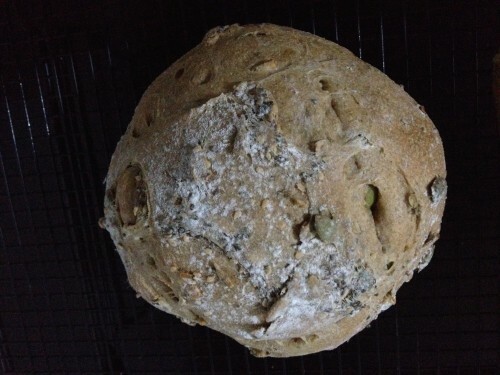 Once I’d baked one batch, I realised that I very quickly needed to make another. They’re so wholesomely, deliciously more-ish and have that glorious nutty flavour imparted from the wholemeal flour. So, I did. Then later that day, I had this flash of brilliance that by adding sea salt would lift them to the realms of epic and add even more nutritional value. That’s how my brain works late at night. So, into the mixture went a conservative quarter teaspoon of fine sea salt. 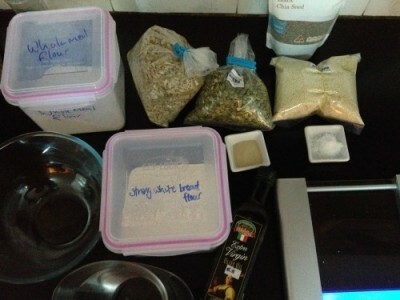 That’s all the recipe needed for the sea salt to bring out the chocolate flavour and add a touch of sophistication. A cautionary note if you want to try this recipe but don’t have any sea salt. Table salt has a much stronger flavour than sea salt. I haven’t tried it with table salt, but from previous experience, I’d add half the amount when using table salt. 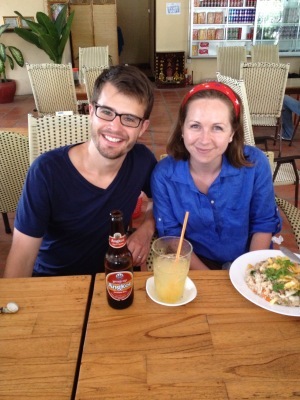 Jonathan and Emily, who travelled many, many miles to adventure in SE Asia, were taste-testers for this bake. 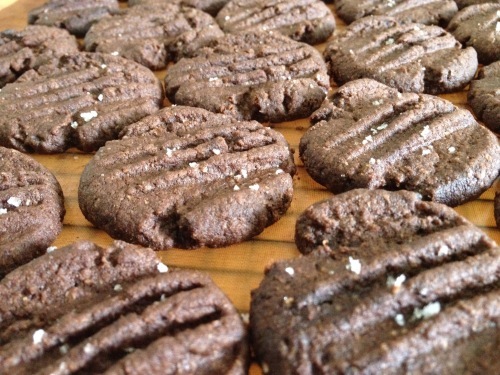 You can bake these without the sea salt. Just omit the salt. They’re really good. But just so that you know. I trialled both recipes on my resident taste-testers last weekend, Emily and Jonathan who were visiting! There were barely enough biscuits left to test out on a family of 6 later on, who I watch the GBBO together with. They unanimously preferred the sea salt chocolate thins. 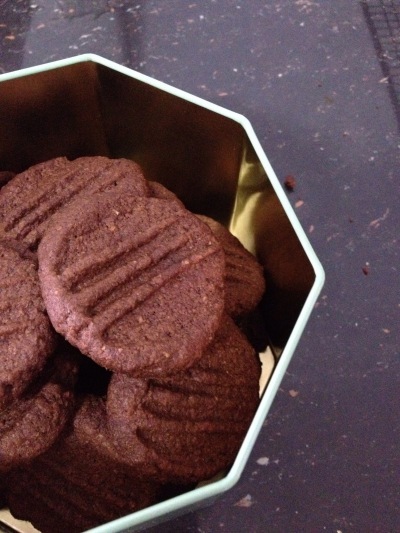 Wholemeal Sea Salt Chocolate Thins, adapted from the back of the Allinsons Plain Wholemeal Flour Packet. Thankfully can also be found on Baking Mad. 2. Cream together the butter, sugar and the sea salt until light and fluffy. This normally takes between 3-5 minutes. 3. 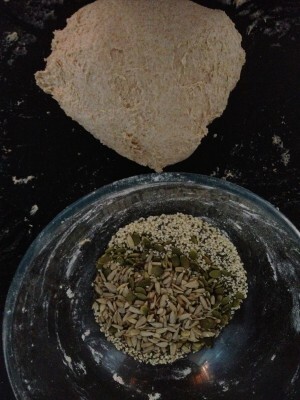 Add the cocoa powder and wholemeal flour and mix until it comes together in a soft dough. 4. 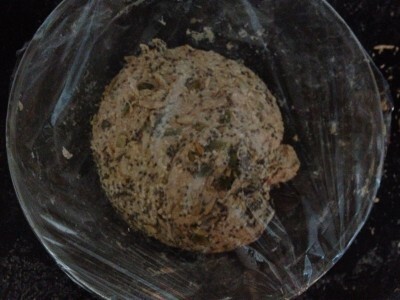 Cover and let it rest in the fridge for at least 15 minutes. 5. Prepare a baking tray with baking paper. 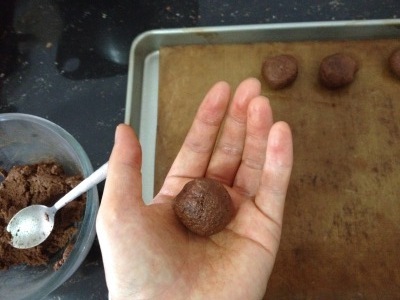 Take a teaspoon of the mixture (roughly between 12-16g) and lightly roll it into a ball between the palms of your hands. 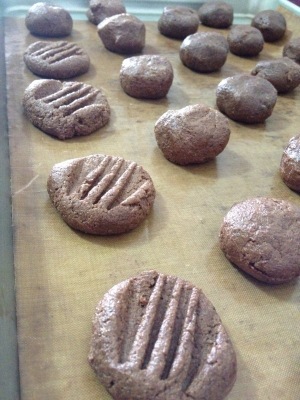 I say lightly to avoid overworked dough, resulting in tough wee biscuits. 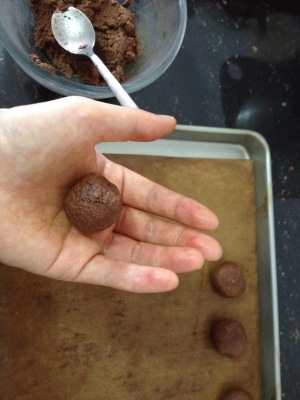 And hey, they don’t have to be perfect balls. You’re going to be pressing them down with a fork anyway. 6. Use a fork to press each ball down. 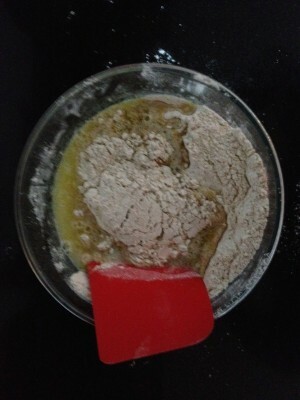 If the mixture starts to stick to the back of the fork, lightly flour the back of the fork and that will prevent it. Sprinkle a wee bit of salt over each biscuit. 7. Bake in the oven for 15 minutes. Check at 10 minutes, in case you’re oven bakes things super fast. 8. Leave to cool on the baking tray until the biscuits are cool. Then gently transfer onto a wire rack to cool completely. They’ll keep in an airtight container for at least 3 days. They’ve never lasted past the 3 day mark with me and in my experience, they get a bit crumblier as each day passes. Did my colleague who pushed for an eggless bake get one? Oh yes. She got a biscuit when I handed them out on the last day of term. 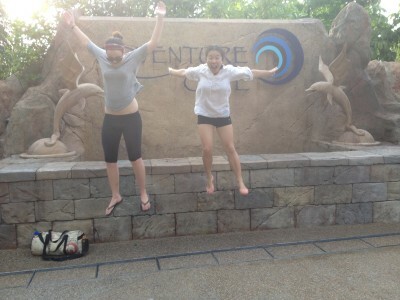 Then she cheekily reached out and took another. I’m training to run a marathon that is in May – EEEEeeeekK! It’s my first one and to say that I’m terrified is an understatement. So, I try not to think too much of the distance or the number of hours that I’ll be running. However, I can’t seem to stop myself thinking about what food to feed myself towards the end of a long run. I am ravenous. It’s a different kind of hunger to when I was training for my first half marathon. Then, I found myself craving melons towards the 10 mile mark. So far, I can’t seem to eat enough of this one cake. I know that my latest posts have been about buttermilk, but bear with me whilst I share one more buttermilk cake recipe and then I’ll move onto something else. This is the one that started it all. It began a few years ago when I found this gem of a recipe on the back of Allinson’s Wholemeal Self-raising Flour packet. I wasn’t entirely convinced at how it would turn out. But I thought, ‘why not? I’ve got the ingredients at hand. What do I have to lose but maybe some bananas that are going off anyway, some sugar, butter and flour?’ So, I made it for an English Tea Party for Study Abroad/Erasmus students at Leicester University as part of their Welcome Programme. And then I had to make it again for my colleagues because it all disappeared before they got a taste. 3 years on and a couple of banana cake recipes later, this has turned out to be one of my favourite banana cake recipes and I bake it frequently. It’s also one of the few cakes that I get a craving for. So, I’ll buy bananas deliberately in order to bake this cake, rather than eat the bananas as they are. I know that’s not the common practice with bananas. A further confession. Sometimes I see how long I can leave the bananas ripening before they become unusable. (Answer – black and mouldy.) I’ve proved to myself that the banana in its various shades of mottled brown to very black is edible… in a cake… and will last a bit longer if you pop them in the fridge. One of the nice things about this cake is that you can make variations of it, which is handy when you’re baking it frequently. I’ve experimented by adding 100g of milk or dark chocolate chunks successfully, tried white chocolate chunks (doesn’t work because they don’t have enough flavour to come into their own in this cake), decorated the top with dried apricots soaked in apricot brandy. My preference? I like it as just a plain banana cake. Ingredients for Allinson’s Banana Cake, adapted by yours truly. 100g/3½oz softened unsalted butter, cubed or as I recently discovered, you can subsitute it with 80ml sunflower or vegetable oil. I think that the oil makes the sponge a bit lighter. 1. Preheat the oven to 180°C/350°F/Gas Mark 4. Grease and line a deep cake tin. I find that anything between 18-23cm works. Just vary the baking a time a bit. A 23cm cake tin needs a bit less time in the oven than a 18cm one. 2. Cream the butter and the sugar together until light and fluffy. Then gradually add in the egg. Or, if you’re using oil, then beat the sugar and egg together first, then add the oil. 3. 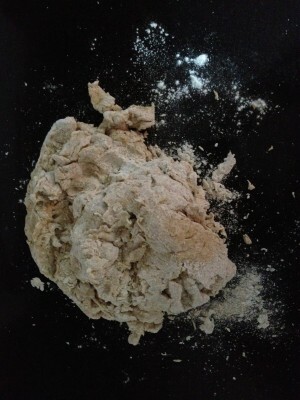 Sift together the flour, baking powder and salt. 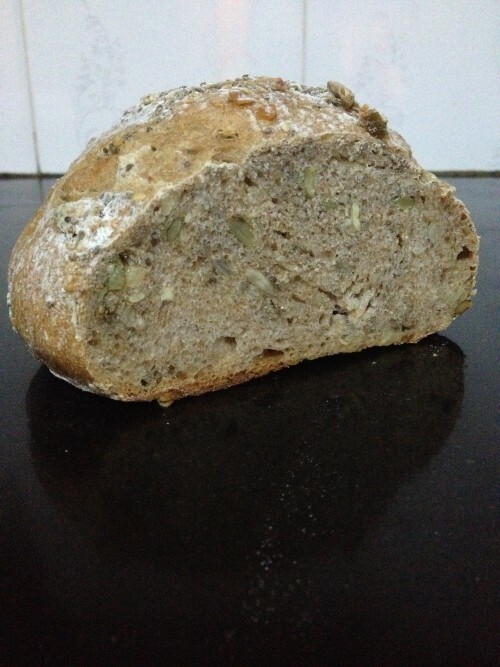 The sifting helps to create lightness which is important when using wholemeal flour. 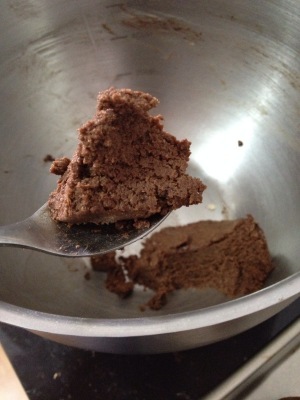 Remember to add the bran that remains in your sieve back into the mixing bowl. I tried using the bran to decorate the cake last time but it just went everywhere so I wouldn’t recommend doing that. 4. 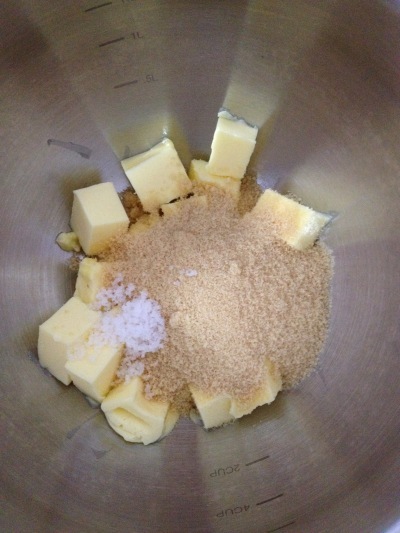 Add 3. to the butter and sugar and mix well. 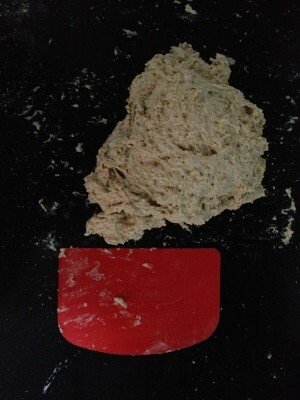 It will resemble bread crumbs if you’re using an electric mixer, or feel very stiff if you’re doing it by hand. 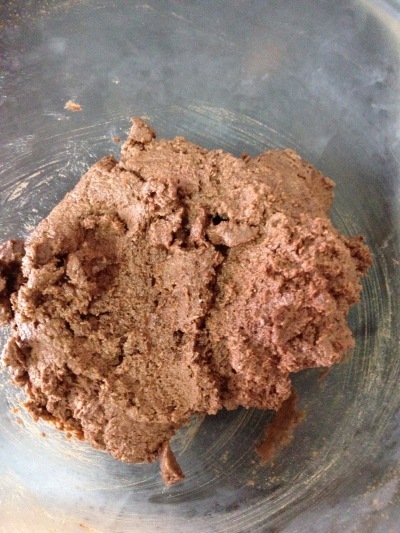 Top Tip: Coat your chocolate chunks lightly with flour before adding them to the cake mixture. This will help them not to sink to the bottom of your cake during the baking process. 6. Transfer the cake mixture into the prepared baking tin, smooth and pop it into the oven for 40-45 minutes, or until the cake tester comes out clean. I think that it’s the combination of the wholemeal flour and banana that gives the cake its wholesome and moreish character. The top of the cake crisps up slightly and lends a wonderful slightly crunchy, sweet flavour. The flavour of the banana isn’t too overpowering, for those of you who aren’t overly keen on it and leaves you wanting to nibble on some more. Mmmmm Mmmmm MMmmmm.